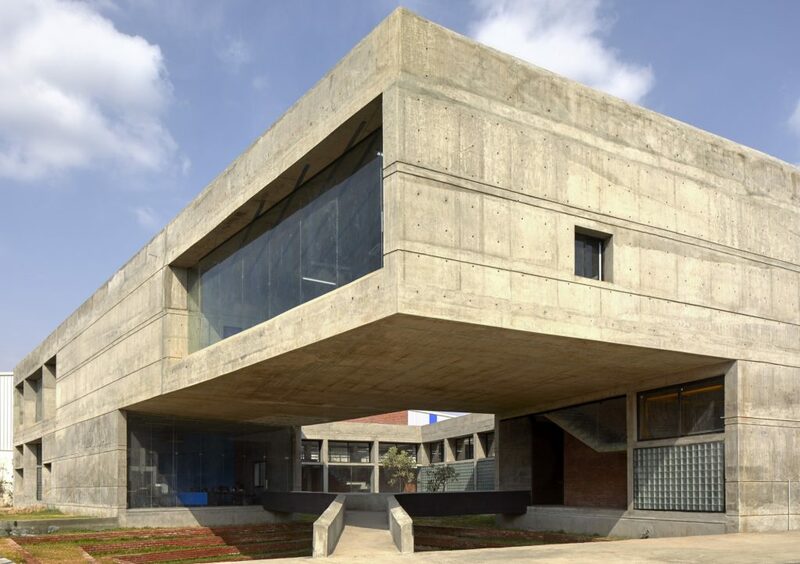 Concrete void (Vijay Transtech factory), at Bhiwandi, Maharashtra, by Sameep Padora and Associates - ArchitectureLive! 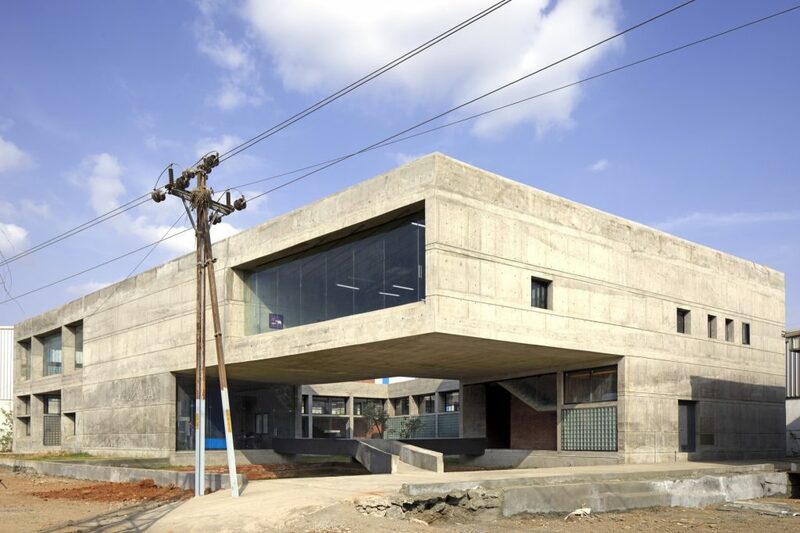 The factory is located on a plot in a logistical warehousing facility on the outskirts of Mumbai. As is typical of most industrial warehouses in the area, the default construction material for most buildings is corrugated metal sheathing and the general prevalent built form is opaque without visual or physical connection to the immediate environment, thus turning the precinct into a continuous hard edge. 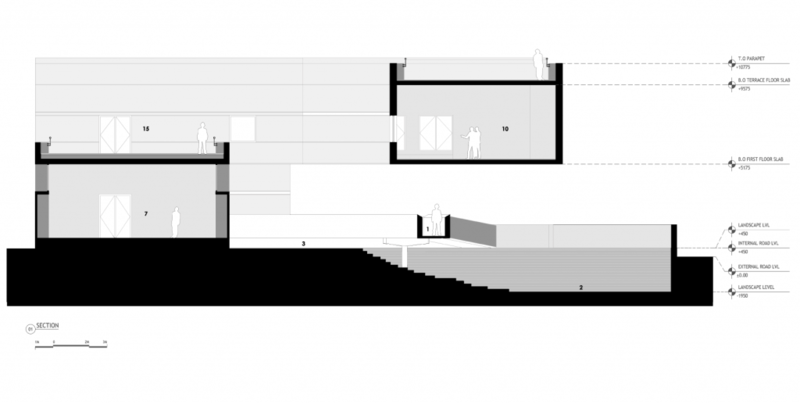 Our first instinct was to position the project as relief from the experience of this existing impervious precinct mass. 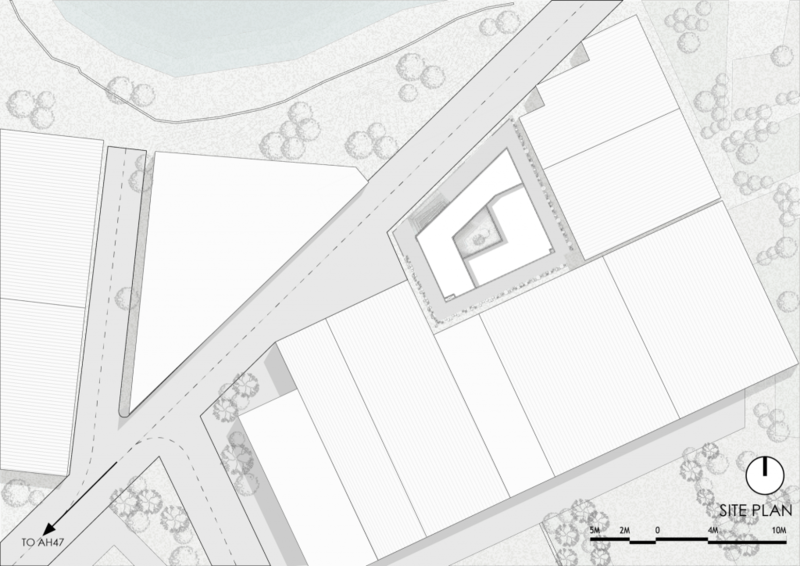 On the North-West corner a portion of the site was low-lying, lower than an adjacent seasonal pond. 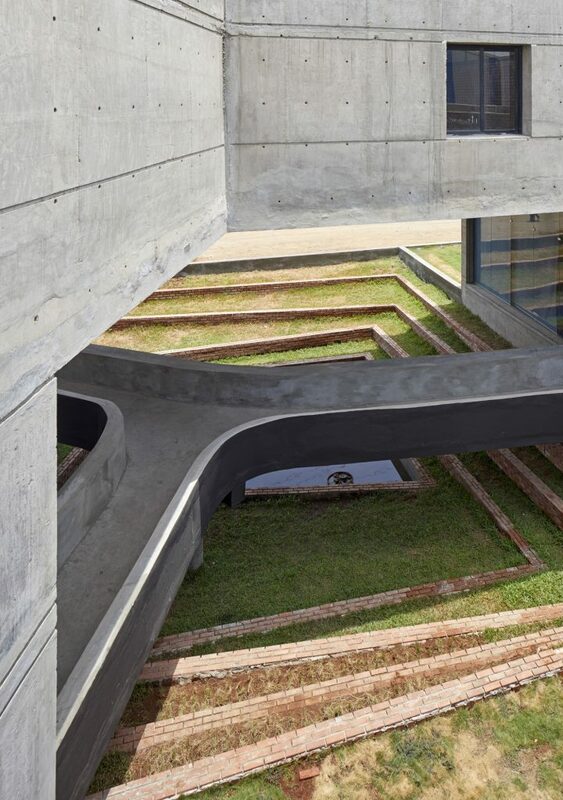 This low-lying part of our site was hence a natural receiver for groundwater levels that rise up during the monsoons. We retained this natural site depression and hence the seasonal ingress of water during the monsoons rather than keep the water out. This move maintains the physical linkages that exist between our site and the surrounding landscape. 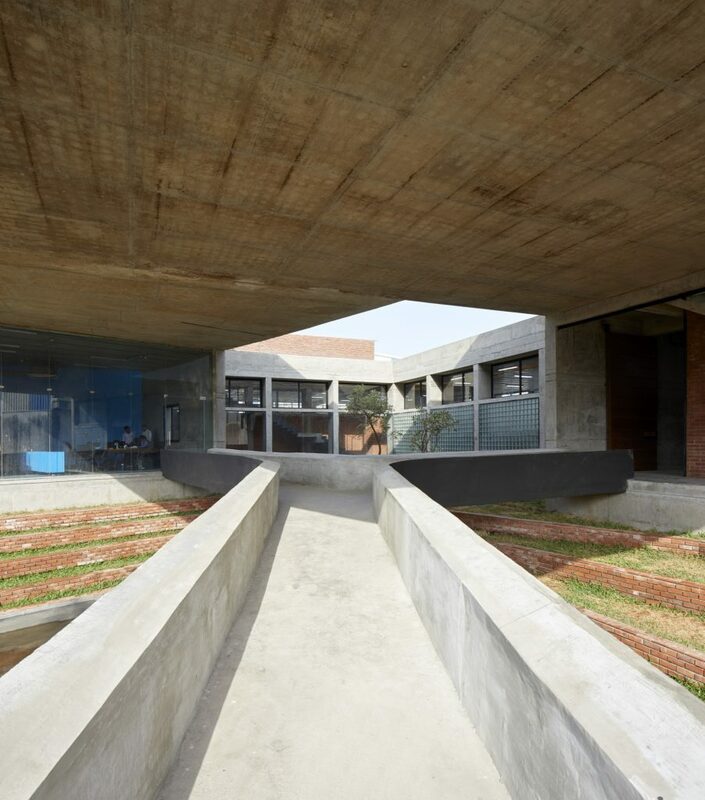 Over this landscape we cantilevered a portion of our building creating a shaded and naturally cooled social and recreational space where the staff of the factory can take a break from their routines. 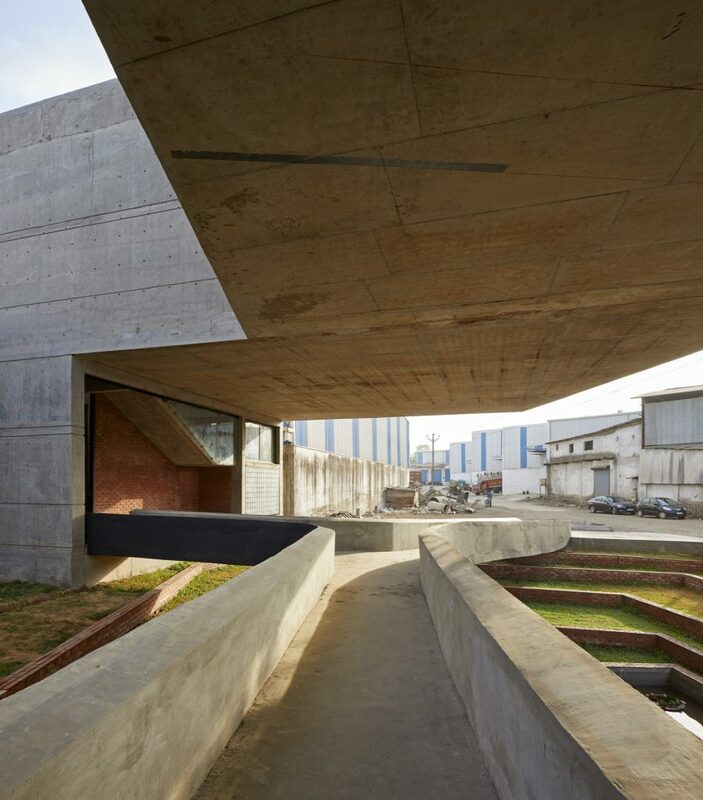 While the expression of the building’s heaviness was of interest, the heart of the project is the void of the central open to sky courtyard around which the factory’s building’s production floors are organized. These relatively thin floorplates ensured well-lit work spaces. 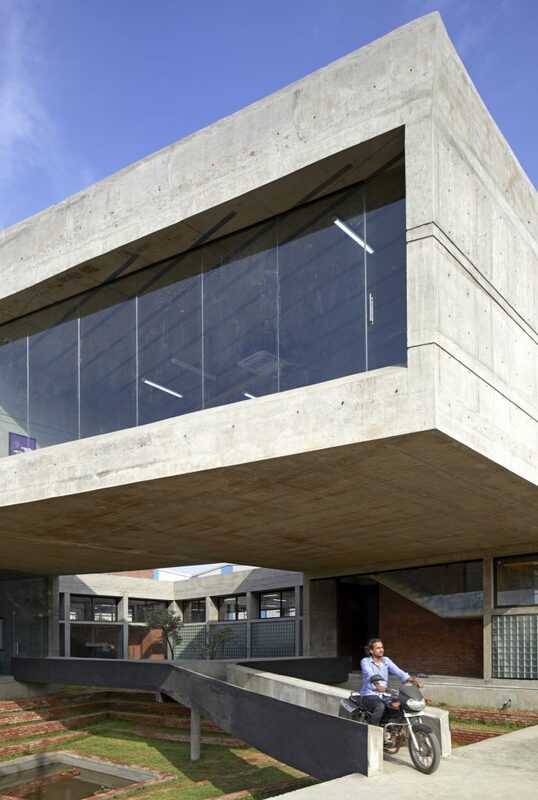 The cast-in-place heavy concrete materiality of the ‘porous’ block is in sharp contrast to lightweight but opaque steel sheathing of the buildings around. 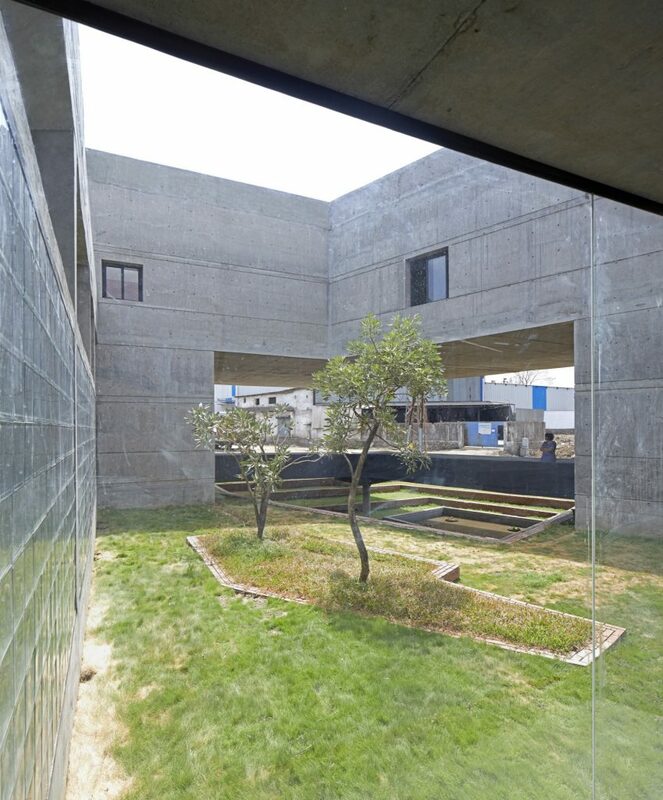 The corner void connecting to the central void courtyard creates an extroverted factory type, visually linking to the access road beyond the site as well as offering relief from the impenetrable adjoining building masses.